Color photograph with hand-made incisions, 5″ x 3 ½”. 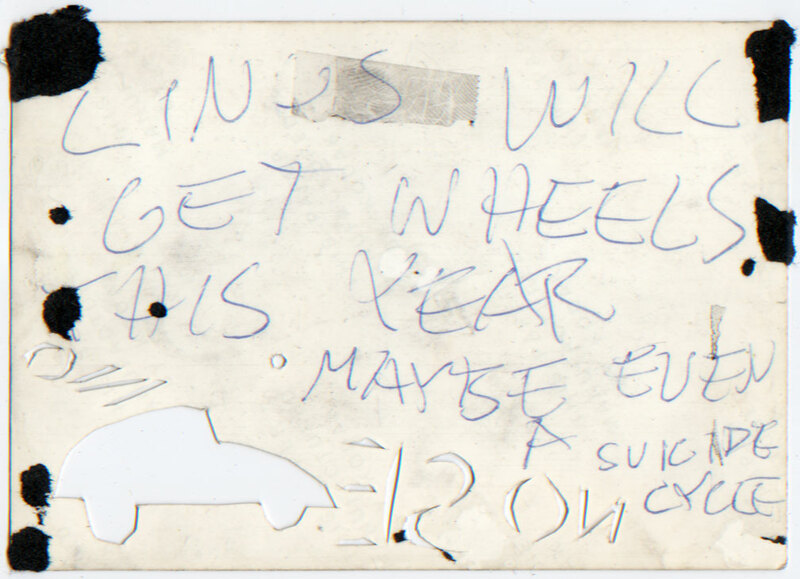 Inscribed on back. Some pieces of scrapbook paper stuck to back. 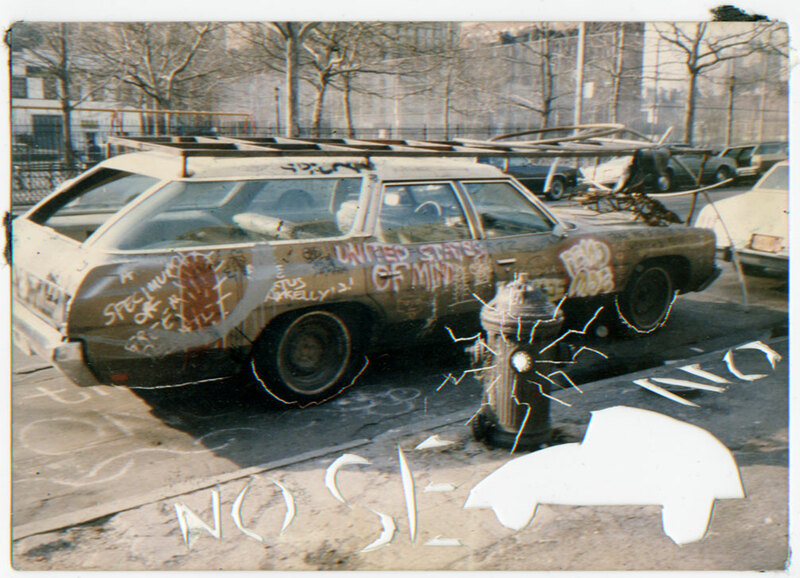 The rack on the roof of the car was hand-made by Coraggio, who also embellished the photograph by scratching radiating lines around the fire hydrant, and by cutting out the silhouette of a car and the name “No Se No.” Coraggio’s inscription dates from the time, and alludes in the third person to his determination to buy a car. This online reproduction may appear larger than the original photograph, which measures 5″ x 3 ½”.